We’ve got a follow-up to a story we brought you earlier. The hacked accounts of many different sites including MyFitnessPal have gone on sale on the dark web. Popular home improvement site Houzz is the latest hit with a data breach. Up to 40 million may have been compromised. OXO International is the latest company to be hit with a data breach. According to a submission, customers over 2 years have been affected. Things are going from bad to worse for hotel chain Marriott. After the 383 million account breach, class action lawsuits have been filed. The political drama continues with the German political hack. After finger-pointing and police raids, a man has stepped forward and confessed to the hack. 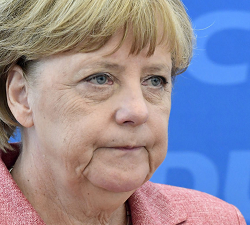 The BSI, Germany’s cyber security defence agency, is now on the defence following a breach that affected Germany’s politicians including Angela Merkel. Hackers have gotten quite an early start in 2019 with yet another breach. This time, it affects German MPs including Angela Merkel and various celebrities.